Learn how to best invest 30 minutes a day to learn, recharge, and improve your social selling processes, for four weeks of self-improvement a year. If you are a football fan, chances are you don’t enjoy the “bye week.” It’s that one week when you can't watch your favorite team because they're taking the week off. While it’s no fun for fans, the bye week gives players and coaches a chance to rest up, analyze what's working, improve deficiencies, and formulate a plan to finish the season strong. 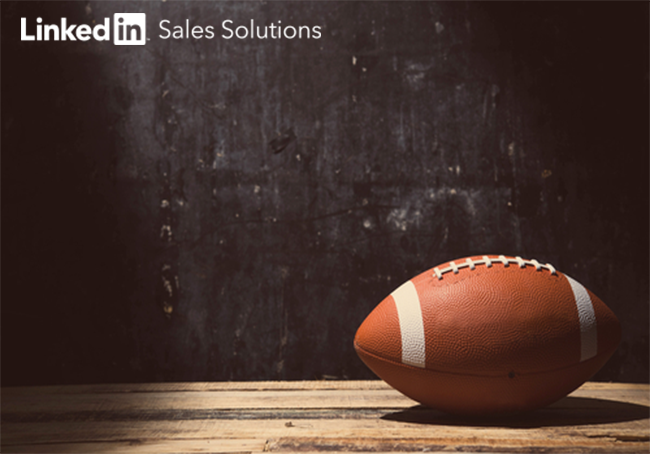 For sales pros, the thought of a bye week may sound tempting. Imagine going to work with no calls to make, no quota to hit... just time to read up on strategy, work on your challenge points, and plan out the rest of the year. I wouldn’t expect your organization to sign off on an extra week of vacation each year. So you will have to take your bye weeks a little at a time: Spend 30 minutes a day on yourself, and over the course of the year, that adds up to four bye weeks. What would happen if you dedicated a month over the coming year to learning, recharging, and improving productivity? Read on to discover how to improve your social selling in 30 “bye minutes” a day. Technology makes it easier than ever to stay up on the latest sales tips and tactics. You can use your learning time to check in with thought leaders in the profession, both past and present. Replace your tunes with podcasts and turn your commute time into bye time. These sales podcasts are a good place to start. Most of them publish weekly and are 20-30 minutes long, so they’re perfect for improving your processes a little at a time. For more bite-sized insights, subscribe to a few sales blogs and spend a few minutes a day reading each. Tools like Feedly are good for seeing all your subscriptions in one place, and they can offer suggestions for further reading, too. If you want more in-depth training, invest your 30 minutes on sales books, either in audiobook, eBook, or even old-fashioned paper format. This list of the top 20 sales books is a good place to start. Not every second of your bye time needs to be spent learning or working. Take some time to get inspired, let your subconscious do its work, and get refreshed. TED Talks are short video presentations on a wide variety of topics. Learn more about the world around you, hear about the latest scientific advances, or just take in inspiring stories from modern-day heroes. They’re guaranteed to expand your mind. You can start with the 20 most popular videos. Your subconscious mind is always at work on the complex problems you face every day. Tap into it with meditation. You will relieve stress, get in touch with your creativity, and end your bye time refreshed. This mesmerizing app can help you get into the proper headspace. The killer app for recharging your mental batteries won’t be found in the iOS or Android store. If it’s at all possible, get outside for a breath of fresh air and a little physical activity. 30 minutes away from your desk chair and assorted screens can do wonders if you’re feeling overloaded, stressed out, or numb. Take a break from your work and do the work that makes your work better. Now that “work” doesn’t look like a word anymore, let’s clarify: Spend your bye time enhancing the routines that you use every day. You can make your sales process more efficient and productive, so you can do more with less. As a social seller, you likely have hundreds of contacts saved to your LinkedIn Profile. Tag your contacts to make useful sub-groups you can use throughout the sales process. You can tag contacts by their position in the buyer’s journey, type of solution they’re seeking, shared commonalities, and more. If you have Sales Navigator, take time to save leads and accounts. Every saved lead helps Sales Navigator provide you with better recommendations, and enables you to stay on top of your potential customers’ LinkedIn activity. Many CRM programs can sync with Sales Navigator, which can save a lot of footwork. You can stay on top of communicating with leads, prospects, and clients by creating messaging templates. That way, you won’t have to start from scratch with every message you send. You can just add a few personalizing touches and you’re good to go. 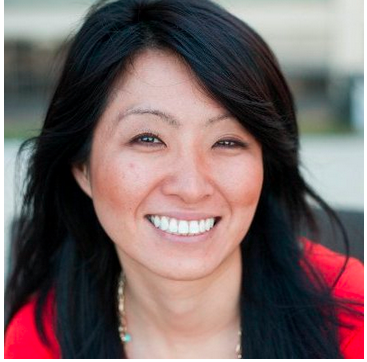 Check out this article on writing LinkedIn messages that convert to get started. If you need time to learn, recharge, and enhance in your sales career, you don’t need to take a bye week. With these suggestions, you can invest a little time each day in yourself, and by the end of the year you will have a full month’s worth of improvement. And all without burning a single hour of vacation time. For more social selling tips, download The Ultimate Guide: Getting Started with Social Selling.